“Intermodal growth likely will continue in 2019 but a bit slower than 2018’s 5.6% gain,” the report said. “There is some risk from potential trade wars, an extended government shutdown and a significantly tight labor market." Also, trucking capacity is expected not to be as tight in 2019 compared to 2018, a major factor for intermodal growth. Still, the intermodal market has risen close to 5% per year since the 2016 freight recession. Yet before the report came out Feb. 1, there already was talk about growth. 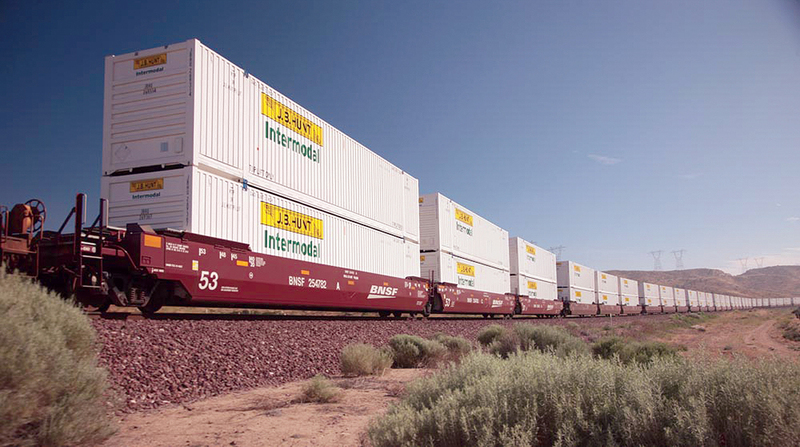 J.B. Hunt executives said they saw intermodal revenue per load increase to $2,463 from $2,129 due to those higher rates. Heller noted the disruption that full implementation of electronic logging devices has had on intermodal and, in particular, on shipping in the Midwest. New regulations have turned a one-day shipping trip from Chicago to Columbus, Ohio, into two days of work. That problem caused some shippers to turn to intermodal methods.